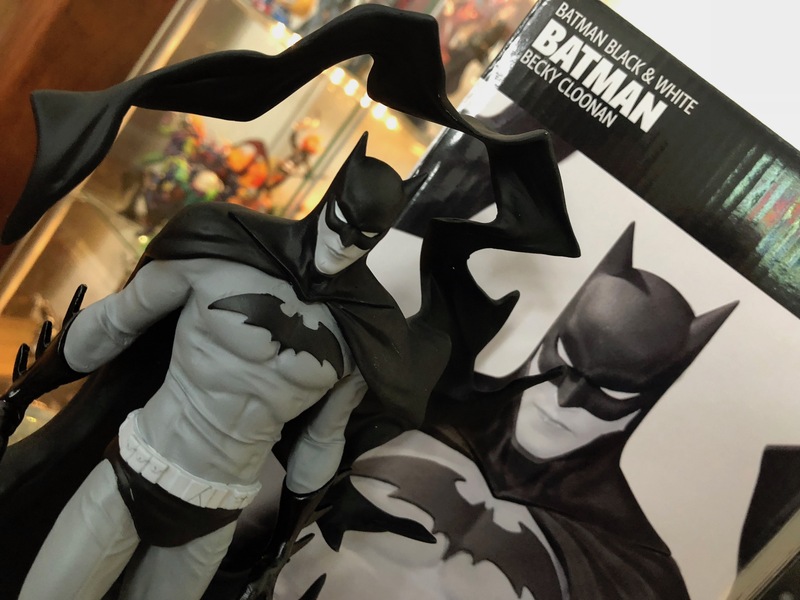 [WATCH] DC Collectibles Black & White: Batman by Becky Cloonan statue review – AiPT! Check out one of the coolest new statues from DC Collectibles. DC Collectibles has been putting out some of the best statues on the market and all at a very comfortable price for everyone. That’s a relief since some statues can cost upwards of $500. Since seeing the upcoming DC Collectibles Black and White statues at SDCC 2017 we knew we’d be owning some new statues in 2018. Now almost a year later the Becky Cloonan Batman Black and White statue is finally ours! This statue is just over 9 inches tall, sports different paints, and has some of the coolest details we’ve seen on a statue yet. Plus it only costs $80 bucks retail to own. That’s a cheap statue when you compare it to companies like Sideshow Collectibles. There is the worry of the statue arriving damaged, but we were lucky enough to get one that was nearly perfect. Check out our full unboxing below and see for yourself. As you can see we’re really impressed with this statue. The detail is incredible and the design top notch. Cloonan knocked this one out of the park and we couldn’t be happier. The base is sturdy too and we noticed the cape actually serves as a support. Compared to the Jonathan Matthews statue this statue doesn’t budge because of that. Upon closer inspection, we did notice a scratch on Batman’s chin which doesn’t appear to be on purpose, but it does add a little grit to the statue so we lucked out. Overall we love this statue and we think you will too. We are so in love with this statue! It's very well made with nearly no defects and for the price anyone can own it.